Heather Hixon is a senior solutions architect for Security Orchestration, Automation and Response (SOAR) vendor DFLabs. She has been a SOC team leader, SOC analyst and SIEM engineer with an industry leading MSSP, and served in IT management roles with several other organizations. Heather is CompTIA Security+, SANS GSEC and GCIA certified. Arthur "Code Curmudgeon" Hicken is Evangelist at Parasoft where he has been involved in automating various software development and testing practices for over 25 years. Arthur Hicken gives us an updated top 10 “IoT Hall of Shame” list of connected device vulnerabilities ranging from cameras to medical devices and from teddy bears to musical instruments (plus a few honorable mentions). Take a listen to find out what Arthur has uncovered during his research! If its a thing that once upon a time was just a thing and later became a digital thing so it could do things in a smart way and later gets connected to the web to then become an internet of thing - its probably in the hall of shame. To give us an idea of what security researchers are seeing, Sean Martin is joined by Arthur Hicken to talk through the Top 10 for 2017. There may even be a few honorable mentions in there as well. Bill Hogan leads strategic accounts and global financial services at Fortinet, where he is responsible for sales, systems engineering and business development. He formerly served as president of WebHouse, where he enabled customer success through the effective use of IT and business solutions. From 2003 to 2014, Hogan led NetApp’s Americas East and America's Enterprise Sales and Business Operations. He started his career at EMC where he spent 10 years in various sales and leadership roles. Bill is a father of five and avid philanthropist. Ted Harrington drives thought leadership initiatives for Independent Security Evaluators (ISE). He has been named both 40 Under 40 (SD Metro) and Executive of the Year (American Business Awards), and organizes popular hacking concept IoT Village. He holds a bachelors degree from Georgetown University. Ted Harrington recently ran The Boston Marathon – the oldest, most prestigious, arguably most important marathon in the world. According to Ted, it was by far one of the most fulfilling experiences of his entire life. Throughout the course of preparing for, attempting, and executing this feat, he noticed some striking parallels between running and entrepreneurship. This is his story. 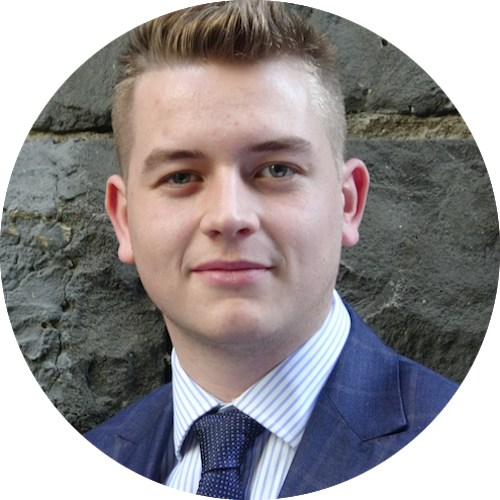 Robert Hamilton is the Director of Product Marketing for the Incapsula service at Imperva. Incapsula is a cloud-based application delivery service that protects websites and increases their performance, improving end user experiences and safeguarding web applications and their data from attack. Rick Howard is the CSO for Palo Alto Networks where he is responsible for the company’s internal security program, the oversight of the Palo Alto Networks Threat Intelligence Team and the development of thought leadership for the cyber security community. His prior jobs include the CISO for TASC, the GM of iDefense and the SOC Director at Counterpane. He served in the U.S. Army for 23 years and spent the last 2 years of his career running the Army’s CERT. Rick holds a Master of Computer Science degree from the Naval Postgraduate School and an engineering degree from the U.S. Military Academy. He taught computer science at the Military Academy and contributed as an executive editor to two books: "Cyber Fraud: Tactics, Techniques and Procedures" and "Cyber Security Essentials." We’ve often heard that it’s a good idea to approach and counter cyber threats by having an understanding for how the adversary thinks. Rick Howard, CSO for Palo Alto Networks, takes this concept to the next level with what he describes as the "adversary playbook;” a concept he applies to his own information security program. During his chat with ITSPmagazine’s Sean Martin, Rick categorizes the various types of cybercrime and the 6 steps criminals take to commit the crimes. Rick also shares a personal view into how he entered the field of information security, citing the Morris Worm and a book called the Cuckoo’s Egg as two key drivers behind his decision to help fight cybercrime. Rick Holland has more than 14 years’ experience working in information security. Prior to joining Digital Shadows he was a vice president and principal analyst at Forrester Research, providing strategic guidance on security architecture, operations and data privacy. Rick also served as an intelligence analyst in the U.S. Army. He is currently the co-chair of the SANS Cyber Threat Intelligence Summit, and holds a B.S. in business administration with an MIS concentration from the University of Texas at Dallas. Richard Henderson is Global Security Strategist at Absolute, where he is responsible for trend-spotting, industry-watching and idea-creating. He has nearly two decades of experience and involvement in the global hacker community and discovers new trends and activities in the cyber-underground. He is a researcher and regular presenter at conferences and is a skilled electronics hacker; he was one of the first researchers in the world to defeat Apple’s TouchID fingerprint sensor on the iPhone 5S. Richard also helped edit Tyson Macaulay’s latest book on IoT Security: RIoT Control: Understanding and Managing Risks and the Internet of Things. An IT security professional realizes that his life’s mission to protect information harks back to being a curious youngster who absconded his teacher’s log-in credentials and then poked around the school’s rudimentary computer network. Little did he know, a rewarding career lay ahead. It's time to stop pretending this is not going to happen to you. At work, or in your everyday life, we need to learn how to live with cybersecurity. If we want to play in an IoT and Internet-connected world, we need to learn how to play by the rules. Nobody has taught you thus far. It's time to get started. Now. CISSP, Director of Cybersecurity, Belden, Inc.
Mandy Huth, CISSP, is the Director of Cybersecurity at Belden, Inc. She is responsible for the company’s cybersecurity strategy and execution, including security for IT and OT in manufacturing. She joined Belden through its acquisition of Tripwire, where she served as Head of Security and Technology. At Tripwire, Mandy was responsible for strategically assessing and securing their internal technologies and solutions. She developed her expertise in the field as a member of Hewlett Packard’s managed services division, leading the infrastructure and logical security of its data centers for more than a decade. Mandy has delivered advisory services in the areas of information security, IT governance, IT process analysis and information risk management. Additionally, she has worked with organizations across a variety of industries, evaluating their security and IT programs against industry leading practices and standards, such as ISO 27000, CSC, ITIL, PCI DSS and SOC 2. 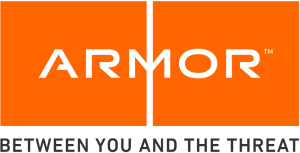 Chief Information Security Officer, Armor. As chief information security officer (CISO) for Armor, Kurt Hagerman is responsible for all aspects of security and compliance for both corporate and customer facing products. He is accountable for helping the company attain ISO, PCI, HIPAA and other certifications, which allow Armor customers to more easily achieve the necessary compliances for their own businesses. Kevin Haley is Director of Product Management for Symantec Security Technology And Response where he is responsible for ensuring the security content gathered from Symantec’s Global Intelligence Network is actionable for its customers. He is the technical advisor and main spokesperson for Symantec Internet Security Threat Report. He served as a technical advisor for Anthony E. Zuiker's digital crime thriller, “Cybergeddon” and appeared in the documentary “Most Dangerous Town”. He also frequently appears as a security expert for media including The Today Show, NBC Nightly News, Good Morning America, MSNBC, USA Today, New York Times, Forbes, Dow Jones and many others. During his sixteen years at Symantec, Haley has also acted as the Group Product Manager for Symantec Endpoint Protection and our mail security products. Of Smart Phones Privacy & Security: Get Out Of My Head! Breaking into a computer is like breaking into a house. However, breaking into a smartphone is like breaking into a brain. What does this mean? Expert Kevin Haley explains. John Matthew Holt is the Founder and CTO of Waratek. He is a JIT Compiler and holds more than 60 patents for his work related to runtime security protections. John has over 18 years of Internet software and leadership experience. Prior to starting SmartFile, John was president and co-founder of Webexcellence, one of the largest web development firms in Indianapolis. John worked with companies such as Delco, Remy, Angie’s List and NCAA to develop rich web applications. Also while working at Webexcellence, John played a key role in the startup phase of ExactTarget. 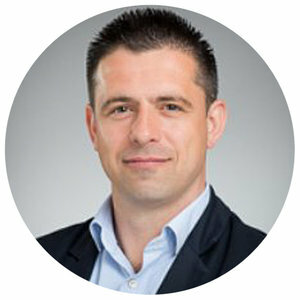 As president and co-founder of SmartFile, which provides and secure file sharing and file management, John heads the sales, marketing, and business development. As a former ethical hacker with decades of experience in the information security industry, Jason Hart has used his knowledge and expertise to create technologies that ensure organizations stay one step ahead of the risks presented by ongoing advances of cyberthreats. He is currently CTO for data protection at Gemalto, where he is responsible for developing the company's encryption and crypto management offerings. Since 2013, Gemalto’s Breach Level Index (BLI) has been used to track data breaches and measure their severity based on multiple dimensions, including number of records compromised, types of data, breach sources, how data was used and whether it was encrypted. Heather Howland is Vice President of Marketing. Heather has over 20 years of experience marketing enterprise security and infrastructure solutions at both innovative startups and market leading companies. 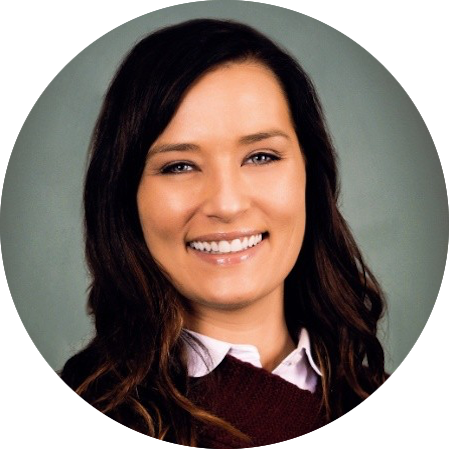 Prior to Preempt, Heather was Vice President of Marketing for Lacoon Mobile Security (acquired by Check Point in April 2015). She has also held senior marketing roles at Q1 Labs (acquired by IBM Security) Ascendent Systems (acquired by BlackBerry), Phonetic Systems (acquired by Nuance Communications) Xylogics (Acquired by Bay Networks). Heather earned her BA degree in Marketing and English from the University of New Hampshire. 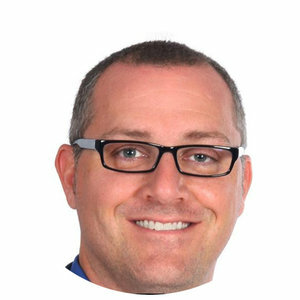 Greg Hoffer is Vice President of Engineering at Globalscape where he leads the product development teams responsible for the design and engineering of all of Globalscape products. In more than 12 years of service to the company, Greg has overseen the creation of award-winning products such as the Enhanced File Transfer suite and Secure FTP Server, established ground-breaking technology partnerships which helped accomplish Federal Information Processing Standards (FIPS) and developed features and modules such as the DMZ Gateway, Auditing and Reporting, OpenPGP, Ad-Hoc Large File Transfer, Advanced Workflow Engine, Workspaces and the Web Transfer Client. Just when you thought it was safe to come to the office, your legacy systems have left you to fend for yourself. In this Experts Corner, expert Greg Hoffer explores the challenges associated with leaving legacy systems behind when moving to new business technologies.